You might already know that a twig is a small, thin shoot of a tree, wooden branch or stem, and also those same shoots when they fall from a tree, often used to start a fire. In anatomy, one of the minute branches of a blood vessel or nerve is also called a twig. But did you know that twig is also a verb? It’s an informal term, only used in UK English, meaning ‘to understand,’ and it can be used either with or without an object. The bird perched on a twig at the end of the branch. Eugene gathered some dry twigs to start the fire. There are several twigs from this artery. The man kept nudging me and winking, but it was several minutes before I twigged his meaning. At first, I didn't understand what everyone was laughing at, but then I twigged. In its earliest forms, the verb twig, as a slang term in UK English, also meant ‘to look at or watch’ or ‘to perceive or discern.’ It then began to be used to mean ‘to understand,’ and this is the only meaning that is still in current common usage. Twig dates back to before the year 950. The Old and Middle English twig or or twigge originally meant ‘a branch, twig or shoot,’ as well as ‘a small tree.’ It can be traced back to the Proto-Germanic twigga, meaning ‘a fork’ (not the utensil for eating, but any long shape divided into two branches, which is where the concept of a fork emerged), and before then the Proto-Indo-European root wo-, meaning ‘two.’ It is related to the Middle Dutch twijch, the Dutch twijg, the Old High German zwīg and the German Zweig (all meaning twig or branch), as well as a related (and now obsolete) Old English word, twisel, which meant fork or point of division. It is more distantly related to the Sanskrit dvikás (double), and many words, in many European languages, meaning two (such as the Spanish dos, the Italian duo, the French deux and the German zwei), and English words including balance, between, biscuit, combine, diplomat, double, twilight, twin, twist, and of course two, twelve and twenty. 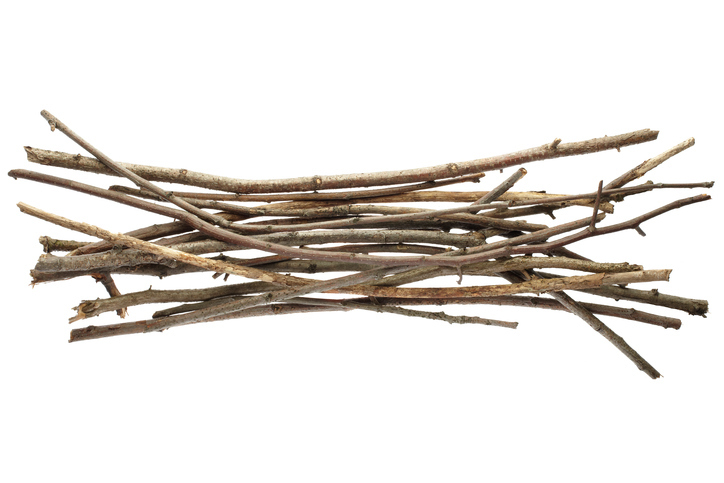 Twig, as a verb meaning ‘to understand,’ is much more recent. It came into English in the mid-18th century from the Irish tuigim (I understand), from the verb tuig (appreciate, follow, know or understand).